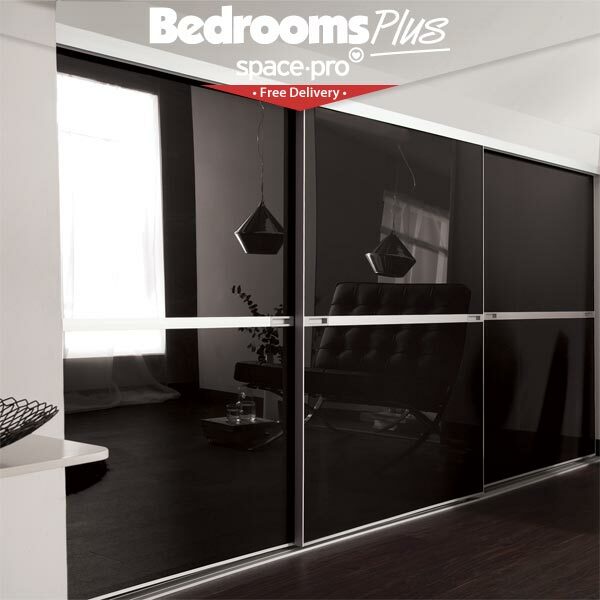 Choose Single or Double-sided Spacepro Titan Sliding Doors for your wardrobe and room divider projects and get a fantastic price and Free Delivery on your custom size made-to-measure Titan doors. Just complete our step-by-step Quote Request Form below. Note: we also have a range of Fixed-size Doors available to buy direct from our online store. 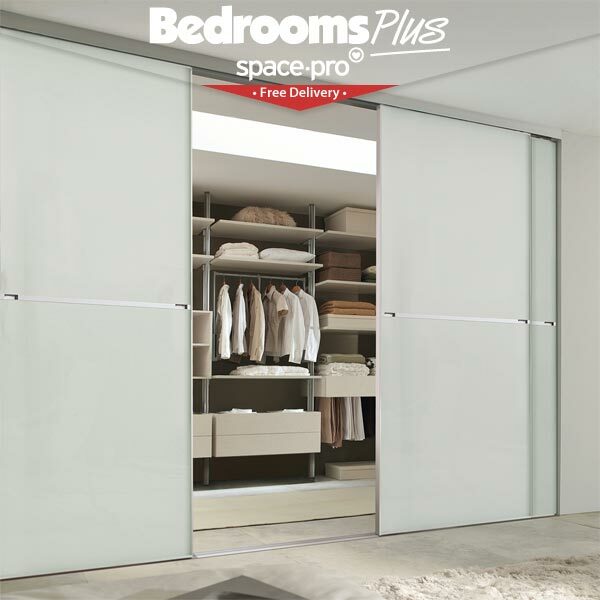 We know that choosing custom sliding doors can seem complicated, that's why we've strived to make ordering your Spacepro sliding doors and storage systems easy and enjoyable. However, if you're unsure of anything we're always happy to help. Just call 01698 209888 or email us. 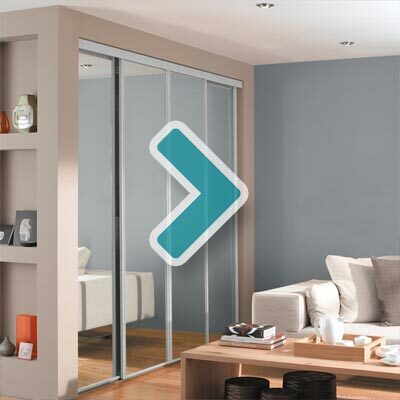 Looking for Double-sided Sliding Doors? 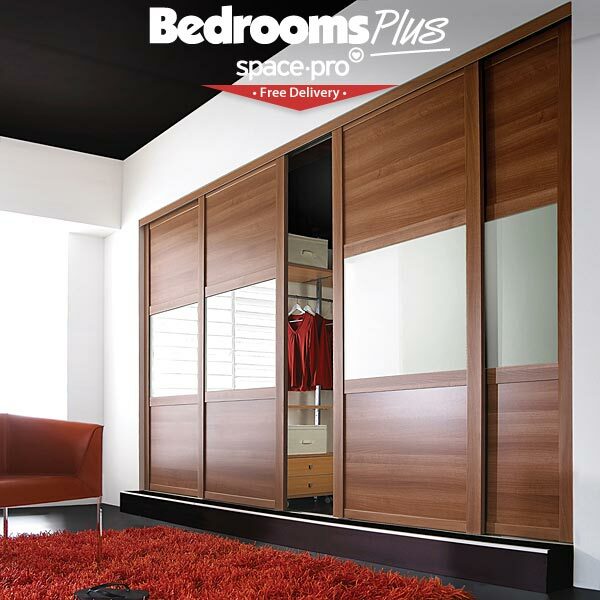 With the Spacepro Titan range from Bedrooms Plus the choice is yours! Choose single-sided or double-sided and transform your room and storage space for less with our renowned Low Low Prices and Free Delivery. 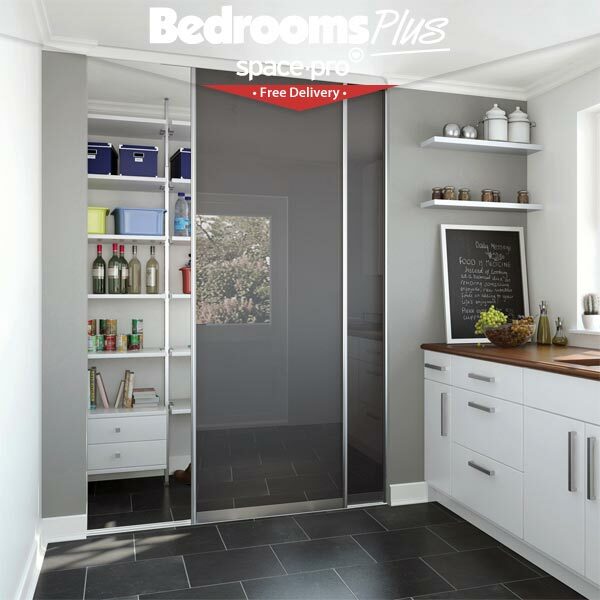 The Titan range of Sliding Doors is one of our versatile models with a double-sided option making them the ideal choice for walk-in wardrobes or room dividers. 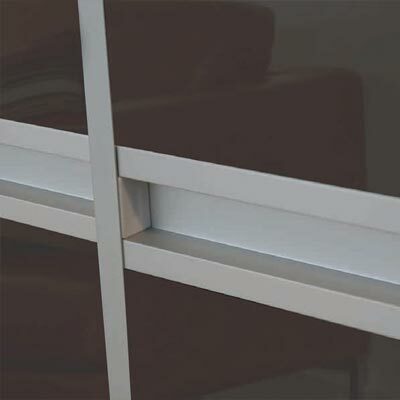 Satin Silver aluminium frames and a wide choice of one to four panel designs and fifteen finishes gives you unlimited scope when designing your sliding door project. 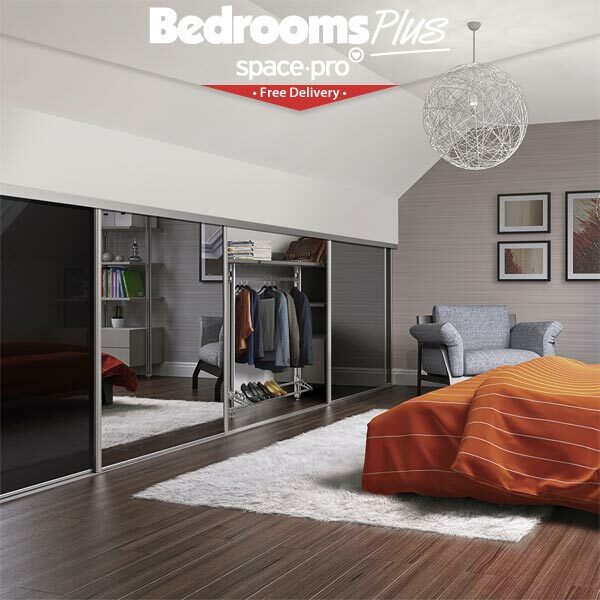 For inspiration, click below to see a selection of sliding door installations for the different Spacepro ranges. 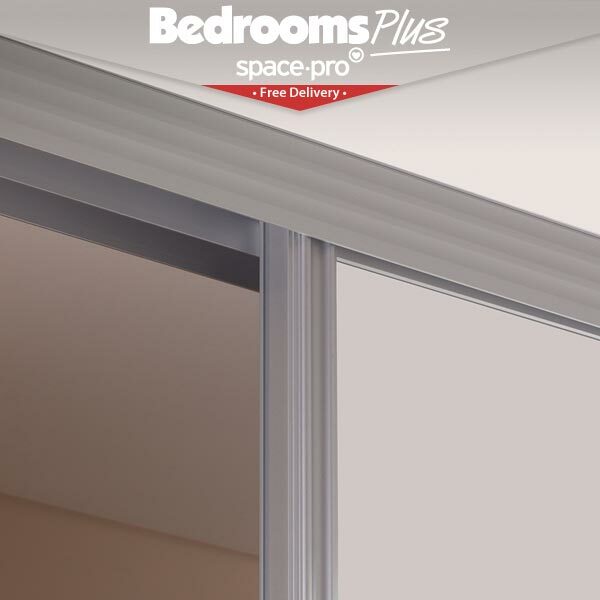 There's a wide choice of panel finishes in the Spacepro door range. The images below will help you to choose, but you can also order a pack of actual sample swatches for total accuracy. Note: The sections below can stay open at the same time to make it easier for you to compare finishes. Each range of doors has its own style of frame and components. Below, you can learn a little more about them to help you to choose what suits you best. 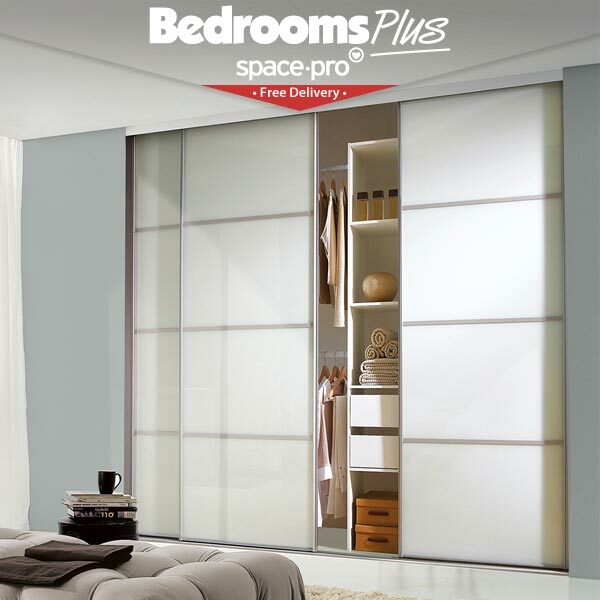 The Heritage range of Spacepro sliding doors has 25 mm wide steel frames in wood-effect or silver finishes. 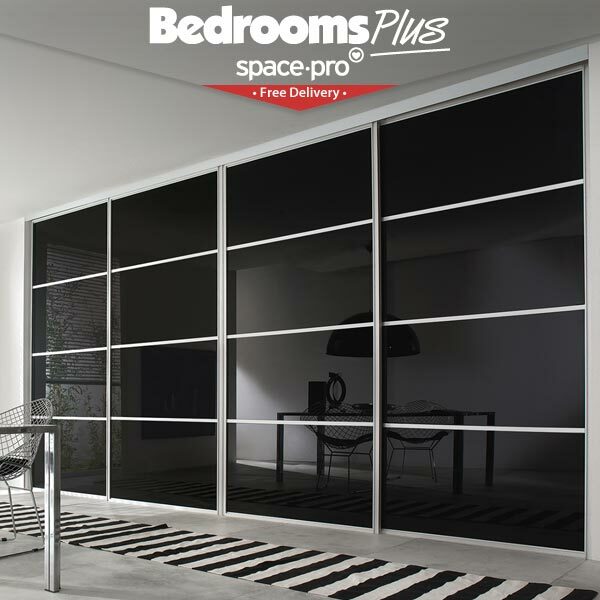 The Classic range of Spacepro sliding doors has 35 mm wide steel frames, shown here in silver finish, but also available in wood. Beech, Maple, Oak, Walnut and White. 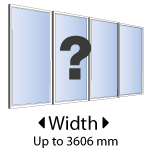 The Contour range of Spacepro sliding doors has aluminium frames in a choice of: Satin Silver, Polished Silver, Black or White. 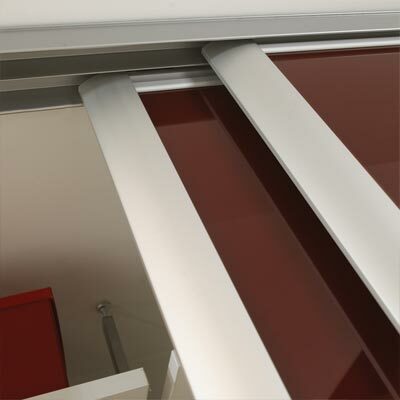 The Ellipse range of Spacepro sliding doors has stylish aluminium frames. 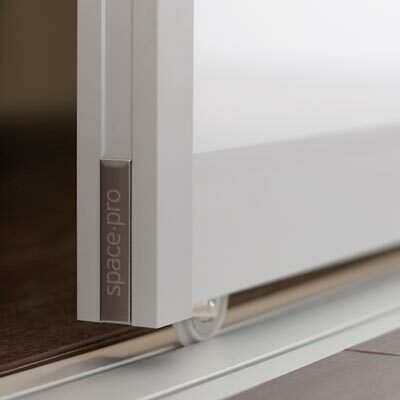 The Minimalist range of Spacepro doors has its own uniquely appealing, stylish aluminium frames with integrated handles. 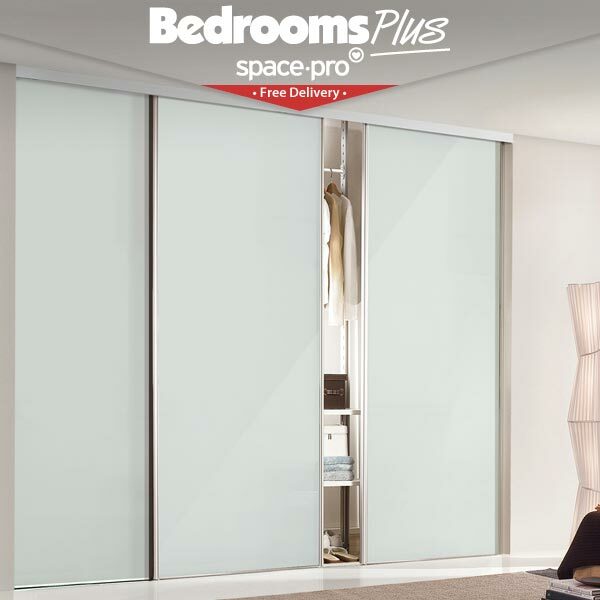 The Titan range of Spacepro sliding doors has specially designed aluminium frames to allow your doors to be double-sided. 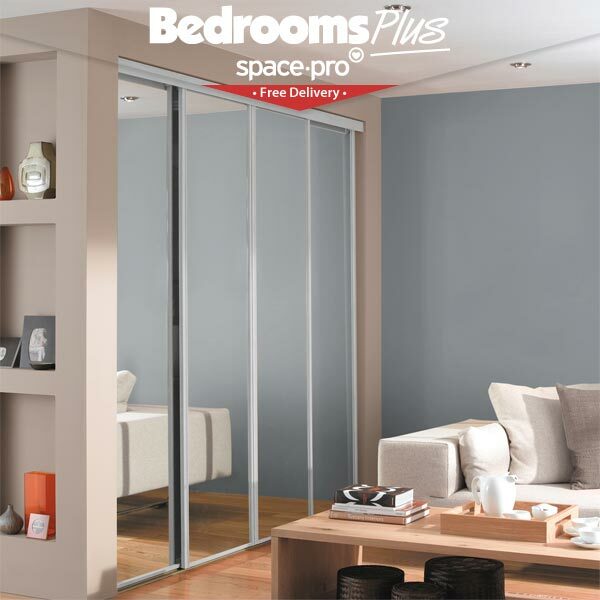 The Switch range of Spacepro sliding doors has satin silver finish aluminium frames that can accommodate your doors being double-sided, as a walk-in wardrobe or room divider. 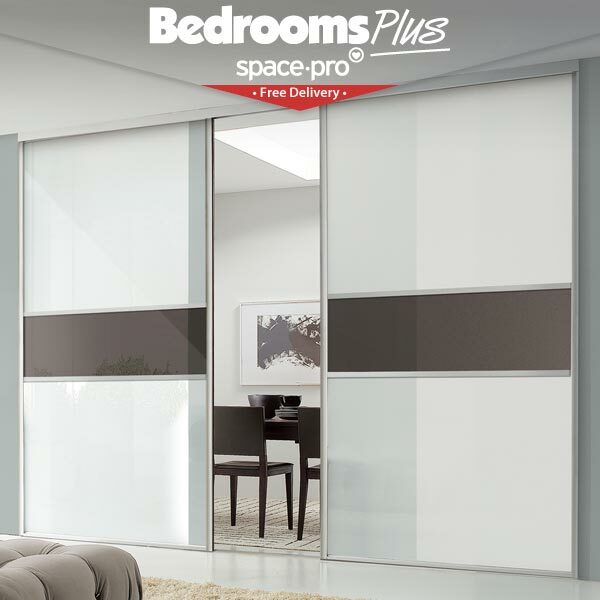 The Domalti range of Spacepro sliding doors has sleek, square-profile silver satin aluminium frames designed for double-sided installations. We've been in business since 1980, and if there's one thing we've learnt it's that our customers love information! Below are a few of our commonly-asked questions, but if you'd like to know more, feel free to ask! Email us. Because every customers' door installation is unique, each price quote is tailored precisely to what they need. However, as a rough comparison of price ranges you may find the following indicator useful. *Prices shown for each range are based on an order for a set of two doors in the smallest dimensions. We supply both custom, made-to-measure sliding doors and fixed size doors in standard dimensions, so you may have a choice depending on your spaces. Our Ready-made Fixed Size Doors can fit openings 2260mm high and up to 3606mm wide. The doors come in 3 widths: 610, 762 and 914mm. Our Custom Size Doors can fit openings from 700 to 2480mm high and up to 4550mm wide and come with Free Delivery. Do you deliver to... ? We provide a high quality delivery service throughout the UK and Ireland, with delivery schedule updates. We have provided Free Delivery to thousands of delighted customers. Yes, the quality is exceptionally good, even by our standards. The design and manufacturing is of the highest standard too. We focus on supply-only. Our keen prices enable you to choose a local installer, or save even more money by installing them yourself. We have produced comprehensive instructions and made available how-to videos. In the rare chance of there being damaged or missing parts, we still have you covered with our generous 72 hour time period within which you can report any damages or loss. 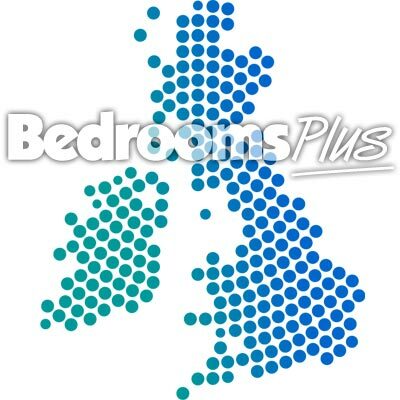 Note: Unlike many companies who refuse to take responsibility after a delivery has been signed for, Bedrooms Plus are reassuringly different, and our customers appreciate us for it. 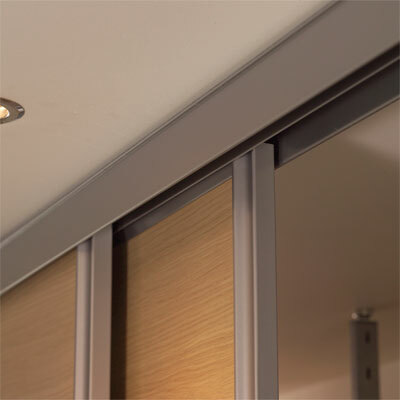 We've been manufacturing sliding doors for thousands of satisfied customers since 1980 and have complete confidence in our sliding wardrobe door systems. Your total satisfaction is always our aim. Please provide full details for fast, competitive pricing and Free Delivery. *Your quote will be sent to the email address you provide. Your details are for quote purposes only and are processed by us personally, so your privacy is assured. Now please click through Steps 2, 3 and 4 to enter your sliding door information. Note: You can open or close any section with a click. Measure your opening height and width at the five points indicated on the diagram. This measurement is best taken approx 620mm from the back wall to allow space for an optional wardrobe storage system, if required (see More! below). Please take into account any obstructions such as coving, skirting, radiators etc. Either remove these or build an unobstructed opening around them. Note 1: Minimum door height is 1200 mm; Maximum is 2480 mm. 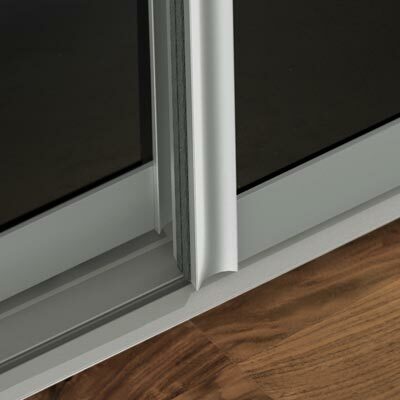 Note 2: If your opening height can be 2260 mm your doors may already be available as standard sizes. If so, take a look at our Fixed-size Doors on our online store. If your dimensions don't work out, call us on 01698 209888, or Email us for help and advice. Note: Minimum is 1100 mm; Maximum is 3606 mm. If your dimensions don't work out, call us on 01698 209888, or Email us if you have other requirements. 3: How Many Doors Would You Like? Please select the number of doors you require. Note: Some opening widths will allow you to choose between 2 and 3 doors, or 3 and 4 doors for your ideal arrangement. 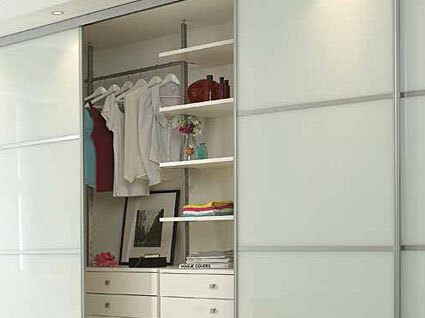 This Quote Request Form is for Spacepro Titan single or double-sided sliding wardrobe doors. Tip: You may find it helpful to refer to our Spacepro brochure when choosing the various design options available to you. You may also wish to compare our other Spacepro door designs. 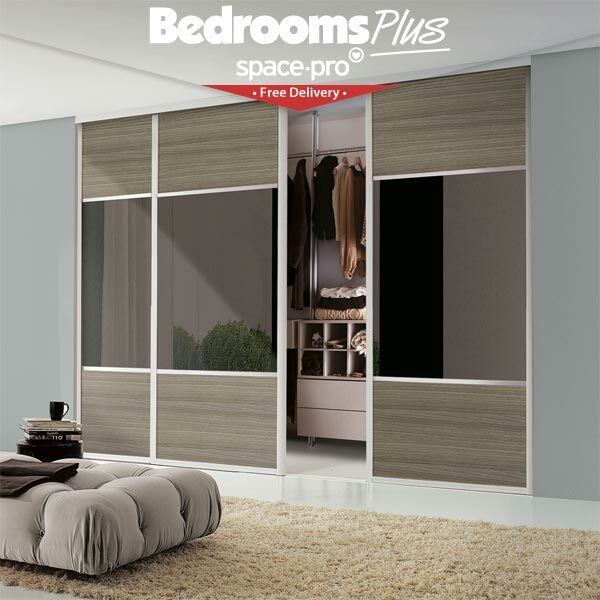 The Spacepro Titan range of sliding wardrobe doors has a wide choice of designs from which you can select doors with one to four panels. Note: With Titan having the option for being double-sided, you can choose different panels for each side. Be sure to select the "Double-sided" button to activate these other panel options. Note: Your total number of doors must be the same as you selected in Section 3 above. If required, in this section you can specify your choices for a Second Door Design. Note: If all your doors are identical complete Section 4A only. Choose a design below, then select the panel finishes. Next, choose the panel finish for your second door design. Note: The frame finish is the same as 4A. Note: Please ensure that your total number of doors for Designs 1 and 2 is the same as you selected in Section 3 above. If there's other information you'd like to add, simply key it in below. All the information you give will help us to provide you with the most accurate and competitive quote for your installation. If you have completed all the necessary information for us to price your Sliding Wardrobes, you are now almost ready to send it to us for a competitive quote. 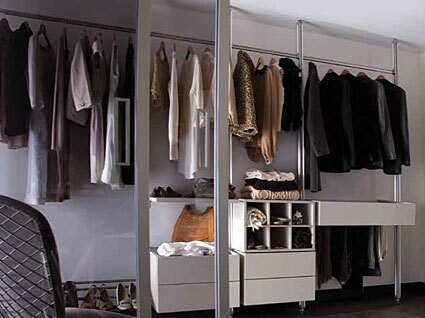 But if you'd also like to consider Interior Fittings for your new wardrobe, take a look at the Storage and Display section below. Steel structural components with units in white or oak-effect. Configure your space to suit your needs and your lifestyle. There's no limit to its versatility. Organise your living spaces too. Aluminium structural components with units in linen or walnut-effect. It makes choosing what to wear enjoyable – just the way it should be. Configure your storage units to suit your precise requirements and available spaces. 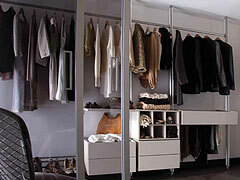 A great way to keep your wardrobes organised and looking good. Even the most awkward spaces can easily be transformed. Our stylish Spacepro Aura and luxury Relax Wardrobe Storage and Room Display units enable you to create your own versatile, modular storage systems to optimise your space any way you like. And you can reconfigure them, or add to them as often as you wish. 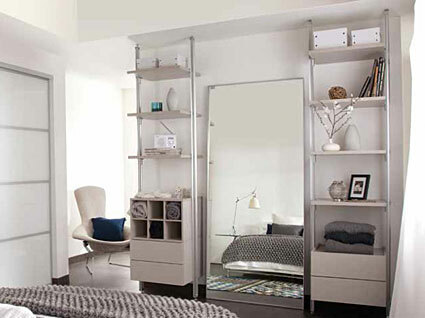 The Aura Storage System has steel structural components and storage units are available with White or Oak finishes. The Relax Storage System has aluminium structural components and units have Linen or Walnut finishes. The innovative Relax fixing system can clamp units and shelves at any height. Both systems are superbly manufactured from the highest quality materials and assembly from flat-pack is straightforward (see our Downloadable Installation Guide for each unit). And don't miss our beautiful and versatile Tower Storage Units in their various shelves and drawers configurations, with 7 finishes to choose from. 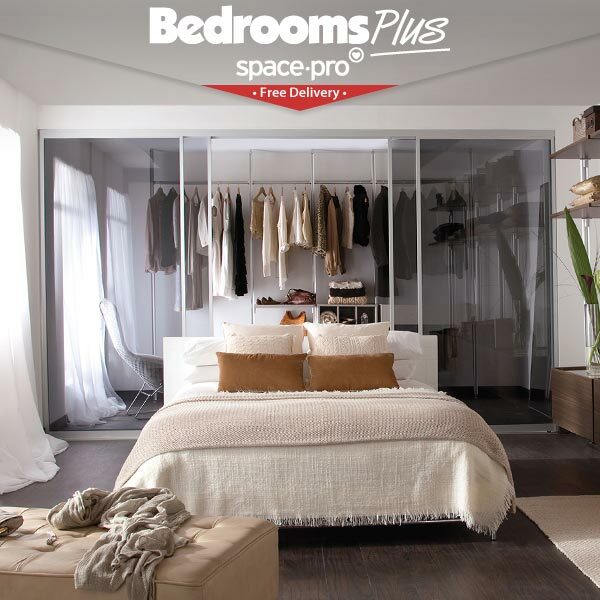 At Bedrooms Plus, we are very particular about supplying top quality products and services and these Spacepro Storage Systems have impressed even us! We guarantee that you can buy either of these ranges and have total confidence in the quality you'll be investing in. 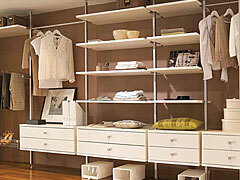 Our Spacepro Aura Wardrobe Interiors and Display Units are available in white and oak-effect finishes. Choose either, or be adventurous and mix and match! 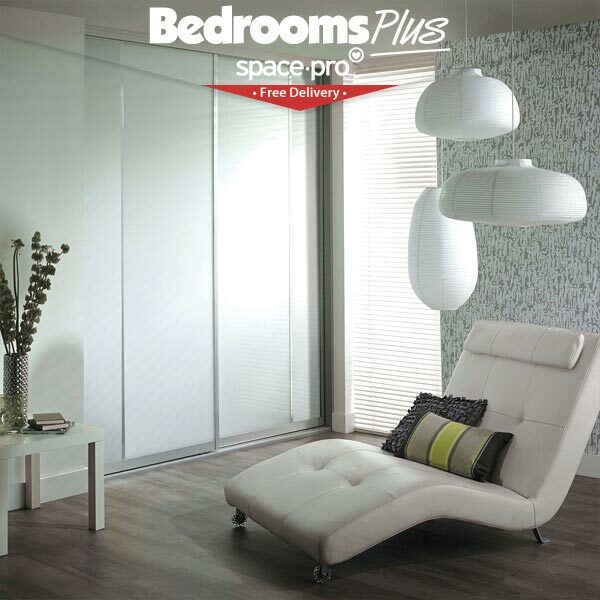 Tip: Refer to our Spacepro Brochure for inspiration and information, or call us on 01698 209888 for help and advice. For more information, explore our Aura storage units and components below. Don't miss our Downloadable Installation Guides that show you just how easy they are to set up. When you're ready, simply key-in your required quantities and we'll get back to you with a very competitive quote! Or: Click here to View and Buy Now from our online store. Key-in or click the number of telescopic posts you require. Or: Click here to Buy Right Now from our online store. At 25 mm thick, all Spacepro Aura 550 mm wide shelves are extremely sturdy and beautifully finished. 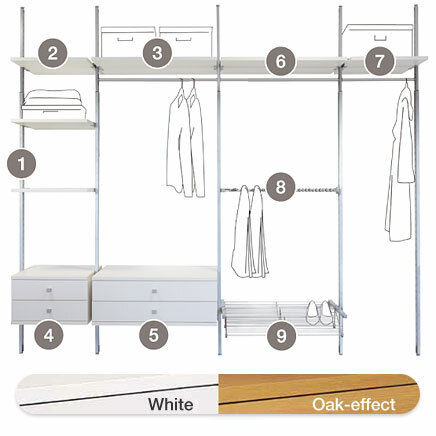 Choose White or Oak-effect finish by keying-in or clicking the number of shelves you require. 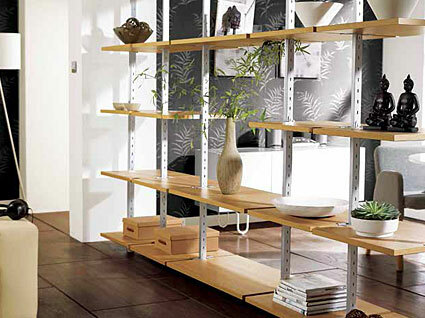 At 25 mm thick, all Spacepro Aura 900 mm wide shelves are extremely sturdy and beautifully finished. Smoothly sliding drawers 550 mm wide that are a delight to use. Choose White or Oak-effect finish by keying-in or clicking the number of drawer kits you require. Smoothly sliding drawers 900 mm wide that are a delight to use. Silver effect steel hanger rail extends to 1300 mm. You can easily install as many as you like, as they clip into the slotted support stanchions. Key-in or click the number of telescopic hanger rails you require. Fixed-width silver effect steel hanger rail 550 mm wide. They can be installed at any level on the slotted stanchions. Key-in or click the number of fixed-width hanger rails you require. So much easier than using hangers! Silver effect trouser rack 500 mm wide. Key-in or click the number of trouser racks you require. 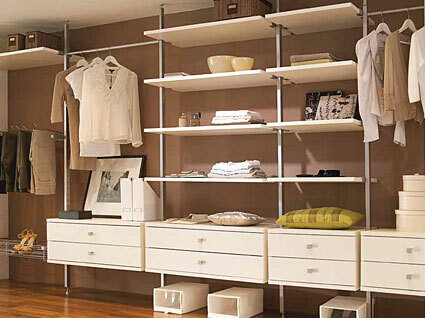 Our 900 mm wide sturdy, silver effect steel shoe racks make shoe storage and selection effortless. Key-in or click the number of shoe racks you require. Solid steel, silver effect drawer brackets to mount your drawer units to the upright posts (See No. 1). Key-in or click the number of bracket packs you require. Note: If you're buying Aura drawers from us, Bedrooms Plus will automatically supply all the brackets you need. Solid steel, silver effect shelf brackets to mount your shelves to the upright posts (See No. 1). 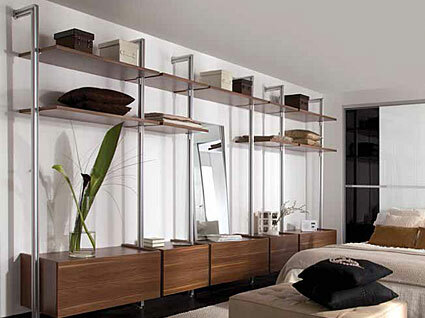 Note 1: If you're buying Aura shelves from us, Bedrooms Plus will automatically supply all the brackets you need. Note 2: These brackets can also be used to mount your own 25 mm thick shelves. Our Spacepro Relax Storage and Display System can run from floor to ceiling, or floor to wall, to suit your installation. 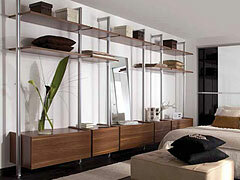 These luxury storage units are available in linen and walnut-effect finishes. Choose either, or be adventurous and mix and match! For more information, explore our Relax storage units and components below. Don't miss our Downloadable Installation Guides that show you just how easy they are to set up. When you're ready, simply key-in your required quantities and we'll get back to you with a very competitive quote! Floor to Ceiling Stanchion height is 2700 mm. Floor to Wall Stanchion height is 2240 mm. Both can be cut to suit your requirements. Key-in or click the number of stanchions you need. Small Deep Shelf is: H 25 x W 550 x D 500 mm. Small Narrow Shelf is: H 25 x W 550 x D 330 mm. Large Deep Shelf is: H 25 x W 900 x D 500 mm. Large Narrow Shelf is: H 25 x W 900 x D 330 mm. 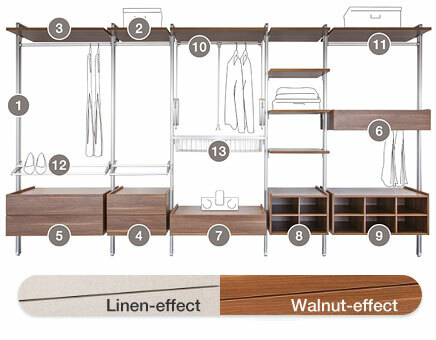 Choose Linen or Walnut-effect finish by keying-in or clicking the number of units you require. Such handy storage compartments, you'll wonder how you managed before. Like all the best ideas, these are simple yet ingenious. For ultimate convenience and easy access to your clothes. The Pull Down Hanger puts a welcome end to rummaging amonst the rails. Key-in or click the number you require. A fixed rail you can cut to suit your required width; and with the versatile Relax fixing system, you can securely clamp your hanger rails at any height you choose. The Relax shoe rack can be cut to suit your required width, so even narrow installations are possible. Multiple racks are a great way store your shoes floor to ceiling for easy selection. A handy basket you'll have no shortage of uses for. The kit includes runners and frame. Buy as many as you need to control your clutter. Our range of Spacepro Interior Shelving and Storage features high quality Tower Shelving Units which all come supplied with hanging bars and brackets. We also offer Tower Shelving units with 3 & 4 Drawer options to provide you with total storage versatility. All drawers in our Deluxe range come with our soft-close system, providing a subtle touch to the luxury of these quality fittings. Our Deluxe Tower Storage Units are available in the following finishes to match your decor: Black; Cashmere; Maple; Oak; Silver; Stone; Walnut; and White. 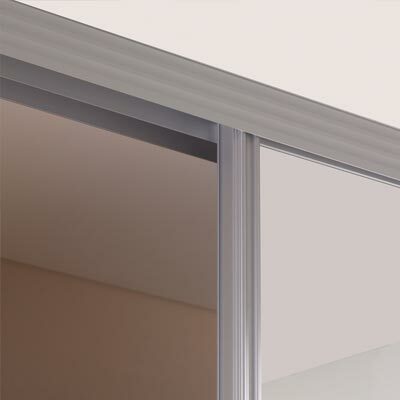 And you can choose either 400 mm or 600 mm widths to suit your available space (and sliding door widths). Call us on 01698 209888 for help and advice. For more information, click on our storage units below. And don't miss our Downloadable Assembly Instructions that show you just how easy they are to set up. When you're ready to choose your unit, simply select your colour and key-in your required quantities and we'll get back to you with a very competitive quote! Our beautifully-finished Deluxe Tower Units are a cost-effective way for you to maximize your storage space. They are available in a choice of 8 colours to suit your decor preference. Every unit comes complete with fixings and 1 hanging bar 2500 mm long, which you can cut to your required length and use as 3 hanging bars. The units are sturdily constructed from high quality MFC 18 mm panels that have been FSC certified. All tower storage units come flat packed with fittings and DIY Assembly Instructions. To add this 400 mm 7-Shelf Tower Unit to your quote request, please select a colour and quantity. To add this 600 mm 7-Shelf Tower Unit to your quote request, please select a colour and quantity. Our drawers are smooth-running and feature a soft-close for a touch of luxury. They come with optional top-mounted handles, but for the ultimate in customisation, be sure to check-out our Extensive Range of Drawer Handles that you can upgrade to. All tower storage units and drawers come flat packed with fittings and DIY Assembly Instructions. To add this 400 mm 3-Drawer 4-Shelf Tower Unit to your quote request, please select a colour and quantity. To add this 600 mm 3-Drawer 4-Shelf Tower Unit to your quote request, please select a colour and quantity. To add this 400 mm 4-Drawer 3-Shelf Tower Unit to your quote request, please select a colour and quantity. To add this 600 mm 4-Drawer 3-Shelf Tower Unit to your quote request, please select a colour and quantity. 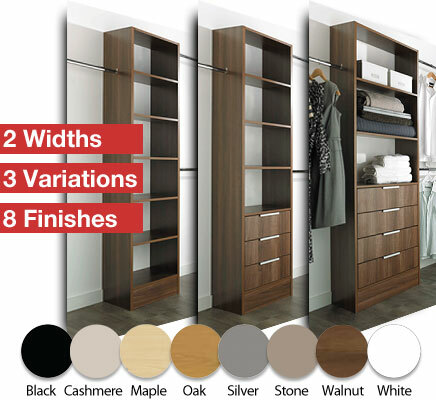 Complete your new storage installation with matching end panels and fillets. Whether it's to build a frame or even create some additional shelving, these high quality boards will match perfectly with your new sliding wardrobe door system or tower storage. All panels are edged on both faces and sides. 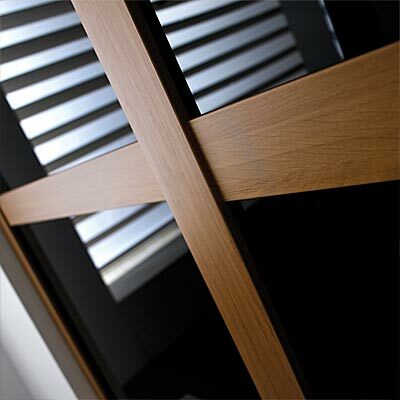 Our End Panels and Fillets are available in 8 finishes. Click here to Buy Right Now from our online store. You'll find lots of storage suggestions throughout our Spacepro Brochure, but if you'd like any further advice, don't hesitate to ask. You can email us, or call us: 01698 209888. By clicking for your Cut-price Quote, you are consenting to us contacting you only in regard to this enquiry. We will not pass on your details to anyone else. Click here to easily check that Sections 1 to 4A have been properly completed. An alert message in red will show you where information is required. Any other problems, please let us know. Finished checking? Click here to Collapse All Sections again.